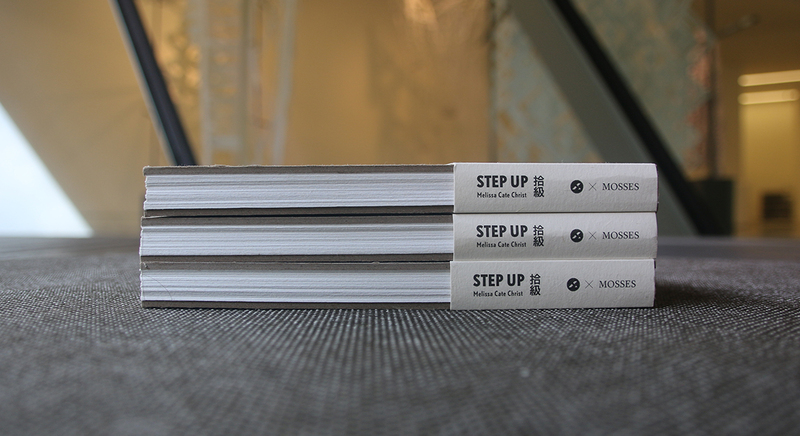 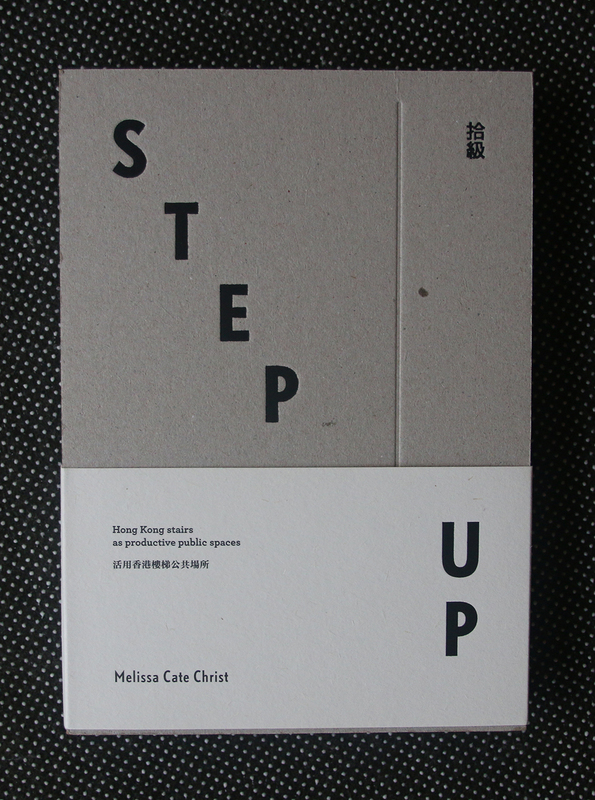 Part exhibition catalogue, part archive and part provocation, this publication documents step up!, a 2013 pop-up exhibition of site-specific performances, events, and art and architecture installations that were situated on an essential pedestrian infrastructure typology – the staircase. 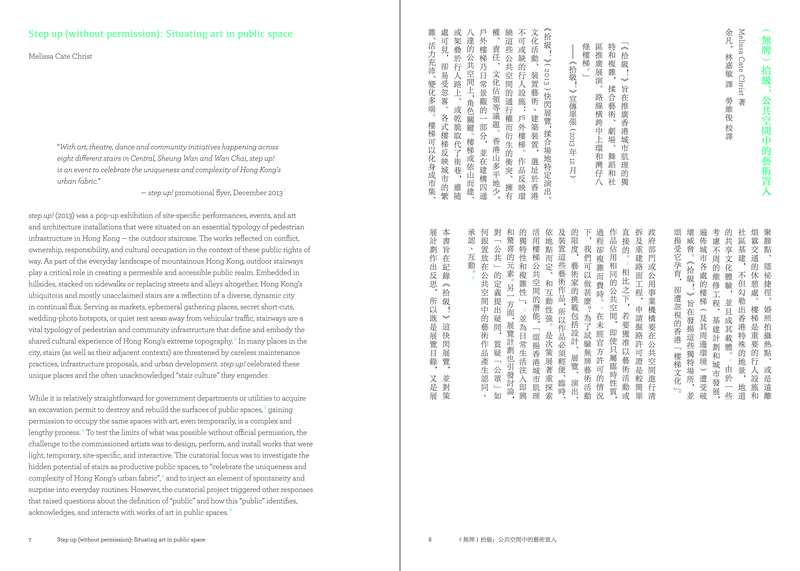 The works reflected on conflict, ownership, responsibility and cultural occupation as a way to celebrate the uniqueness and complexity of Hong Kong’s urban fabric. 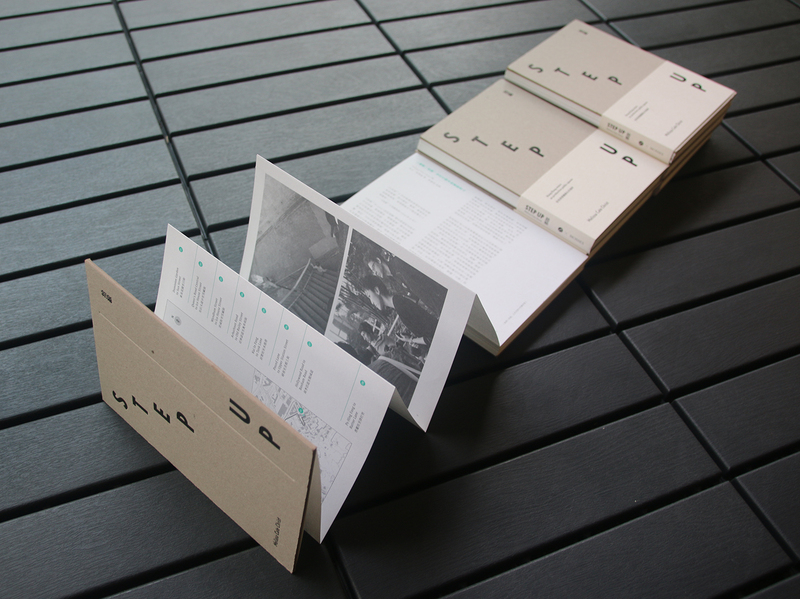 Printer: Colham Printing Co. Ltd.
an escalator for pound lane?